Jason was selected in the category of Workers Compensation. Of note, Jason successfully tried a workers compensation case wherein a city worker was attacked and seriously injured while performing his job shutting off water meters in locations wherein residents failed to pay their bill. When the worker arrived at the residence he was attacked and able to subdue the attacker while waiting for the police. The worker held down the initial attacker when another resident began jumping and stomping on him, causing him to have a stroke which resulted in paralysis. The Workers Compensation Commission awarded a fifty percent wage loss disability over the permanent anatomical impairment rating issued by his physician. After listening to oral arguments in Little Rock, the Arkansas Court of Appeals affirmed the award. Birtcher v. Mena Water Utilities and Arkansas Municipal League, 2017 Ark. App. 210, 518 S.W.3d 707. Jason was also successful in proving a truck driver’s work accident aggravated his pre-existing degenerative disc disease resulting in the need for medical treatment in the form of a cervical discectomy and fusion surgery. J.B. Hunt Transport v. Hollingsworth, 2016 Ark. App. 279, 497 S.W.2d 197. The court found it relevant that the injured truck driver had not received medical treatment for his neck before the accident, the injured worker had medically documented cervical muscle spasms after the accident, and the results of the physical examination performed by the neurosurgeon were consistent with the injured employee’s complaints of pain. 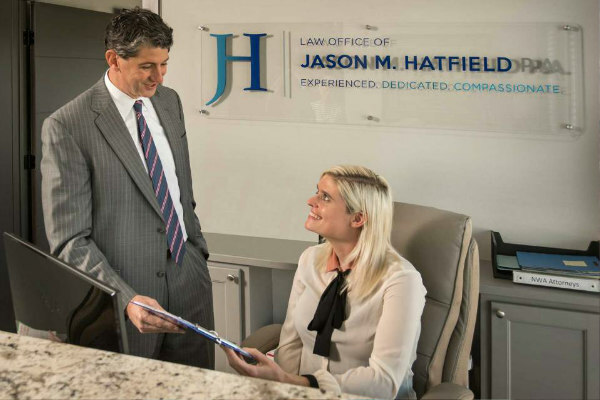 Jason built a new law office in Springdale, Arkansas, in 2017, where he currently practices primarily in the areas of personal injury, car wrecks, workers compensation, and social security disability.